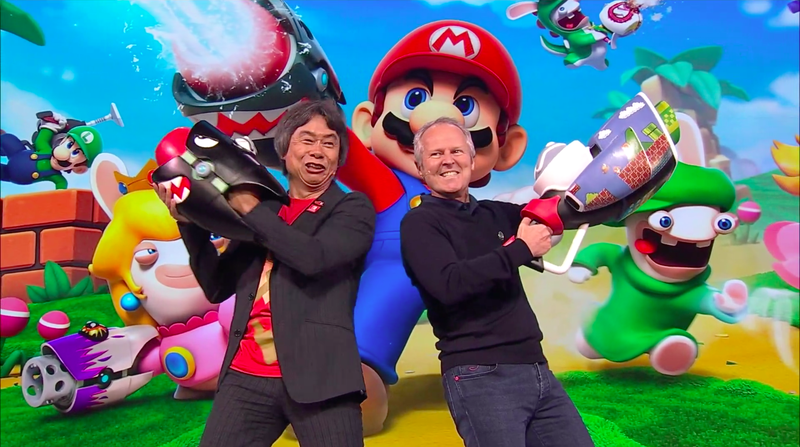 Following a surprise appearance by Nintendo’s Shigeru Miyamoto at Ubisoft’s E3 press conference, a long-rumoured title is now official: Mario + Rabbids Kingdom Battle is coming to the Nintendo Switch. It’s being developed by a team in Paris, and is described as a “tactical adventure”. The story sees the Rabbids teleported into the Mushroom Kingdom, where they team up with Mario, Luigi, Peach and Yoshi in a game that...well, it looks a lot like XCOM, only with shells.